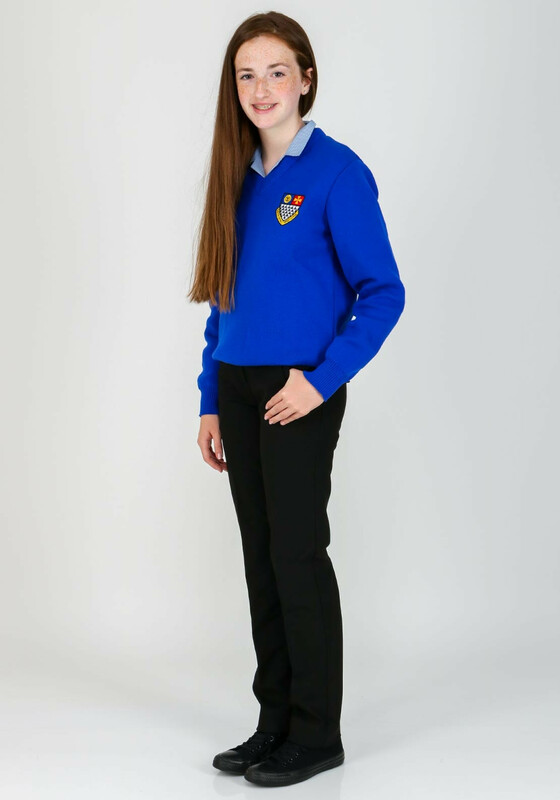 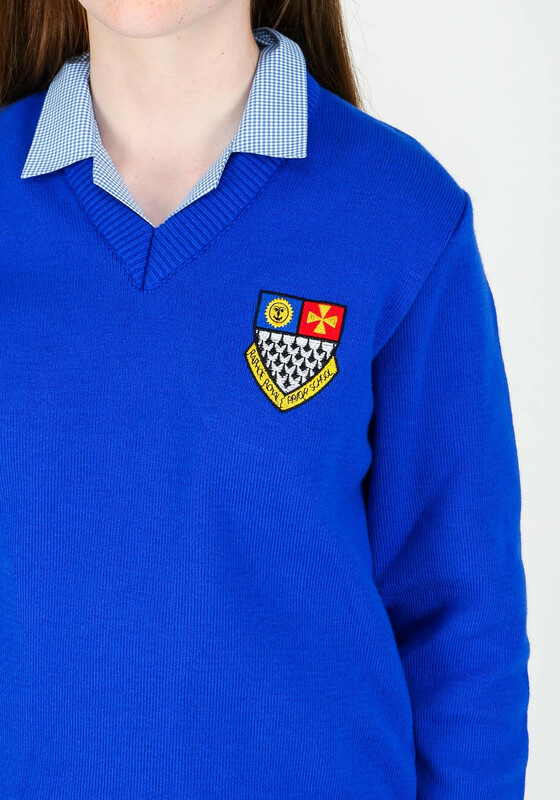 Deer Park Raphoe Royal & Prior school uniform jumper. 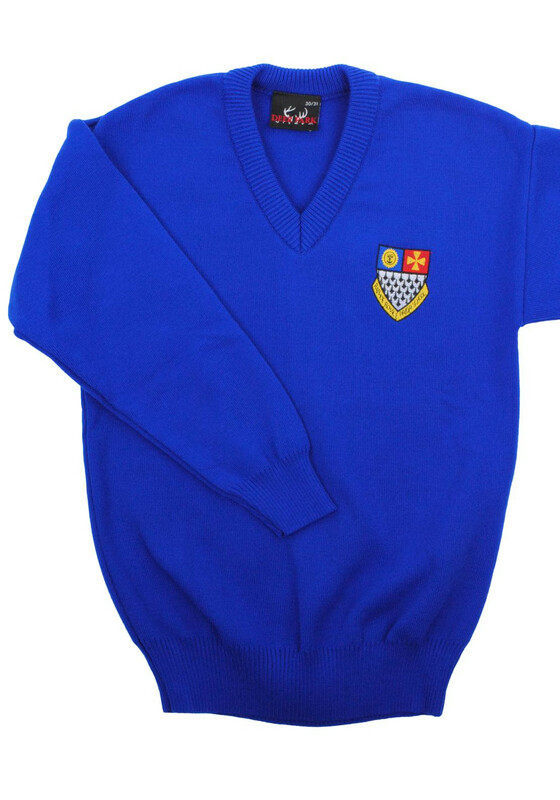 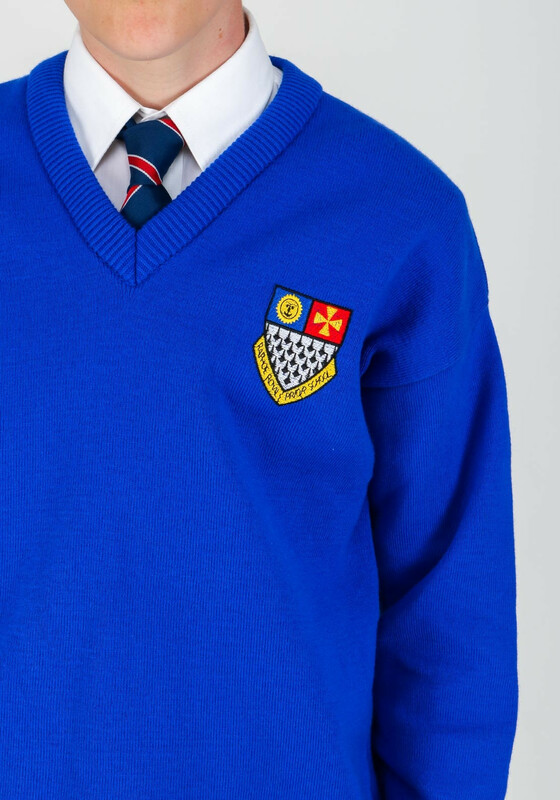 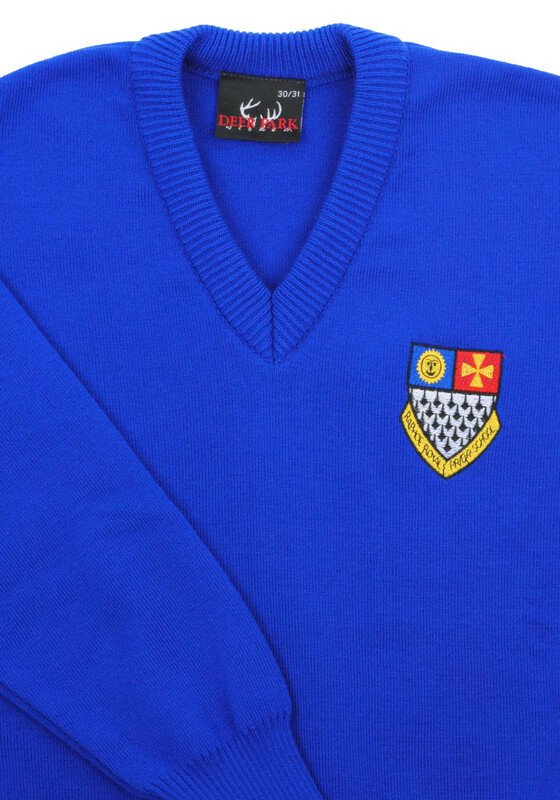 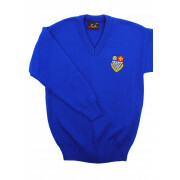 This blue jumper has the school crest embellished on the chest. 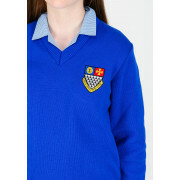 It features a ribbed V-shaped neckline, ribbed cuffs and ribbed hem. 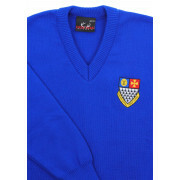 This high quality jumper is easy to care for. 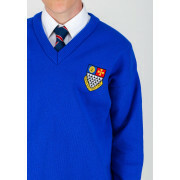 It has a name and class tag at the neckline.